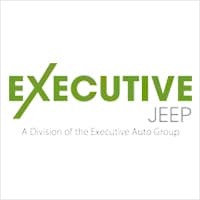 At Executive Jeep, we know that buying a new vehicle is a big commitment. But you don’t have to stress out about crunching the numbers to bring home a new car like the new Jeep Grand Cherokee. At our Jeep dealership near New Haven, CT, our friendly car finance experts are on hand to help you find the auto loan or Jeep lease to fit your budget. We’re here to make sure your new Jeep Cherokee or Jeep Compass purchase is as carefree as possible. We’ve even made it easy to apply for car financing from the comfort of your own home. All you have to do is fill out our online credit application. We can help you determine whether you should buy or lease your next vehicle. And you can also value your trade and calculate your car payments before you visit our showroom near New Haven. Whether you have great credit or no credit at all, our team of auto financing experts is here to make it as easy as possible for you to get behind the wheel of a new Jeep vehicle. Contact us today to begin your journey towards driving home to Milford in a brand new Jeep!